Living in a Region that’s laced with beautiful scenery and amazing roads there’s lots of excellent destinations that will appeal to all our Members and their families. Enthusiasts of all ages are welcome to join us at our meetings, drive outs and events. 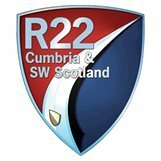 The Cumbria and SW Scotland Region is not just about the cars it’s about the people who enjoy driving and owning them. Our monthly meetings take place on the first Tuesday of the month at The North Lakes Hotel & Spa, just off the roundabout at Junction 40 of the M6 (CA11 8QT). The 4 Star hotel is in a great location with plenty of car parking at the front and our function room is close to the reception area in the Voreda Suite. There is an excellent restaurant and bar for those wishing to enjoy food or drinks beforehand. As well as regular email newsletters, members are also invited to keep up to date with our news and events via the Region’s Facebook Page.